Is it an upturned hand, an inverted lotus leaf or even an upside down bunch of bananas? 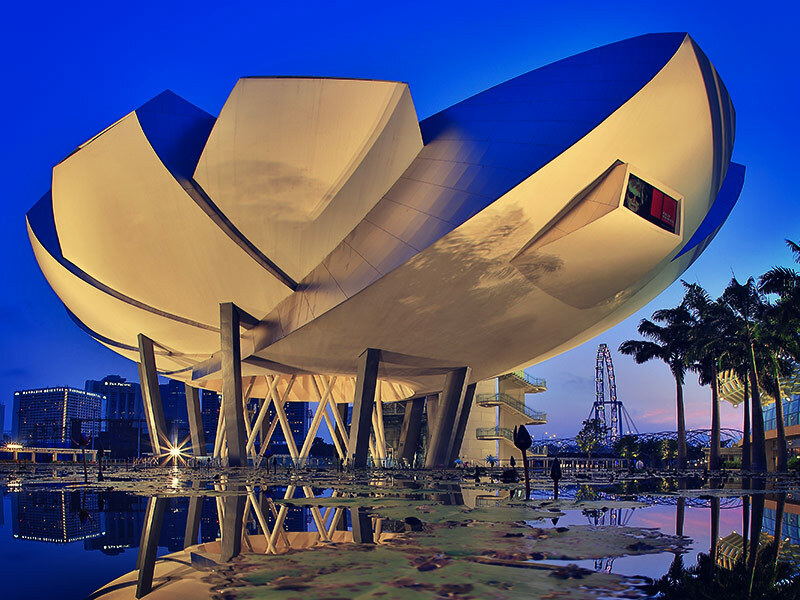 Whatever it is, the ArtScience Museum at the world-famous Marina Bay Sands hotel is rapidly becoming one of the most iconic buildings in Asia and inside, the wonders are just as spectacular. 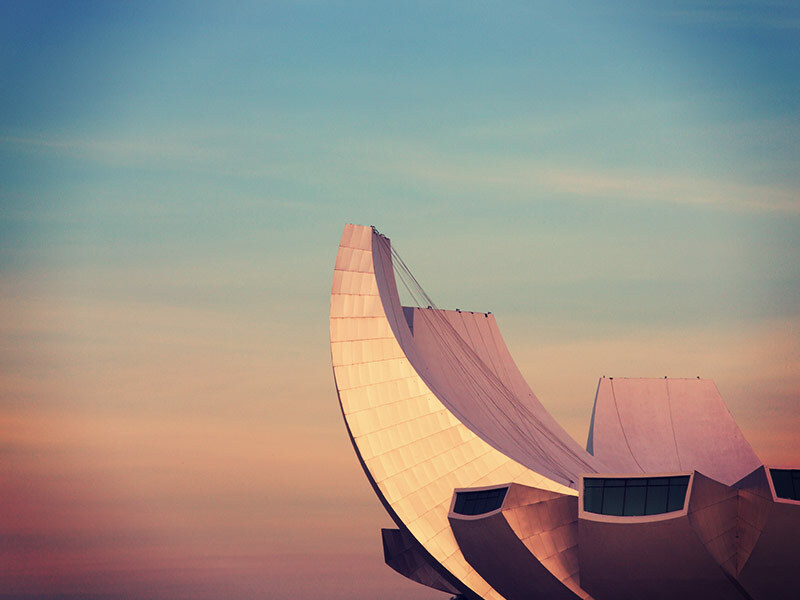 Perfect for the whole family, the 50,000 square feet, three story, 21 gallery museum fuses together the creative processes between art and science and includes technology, architecture, media and design. 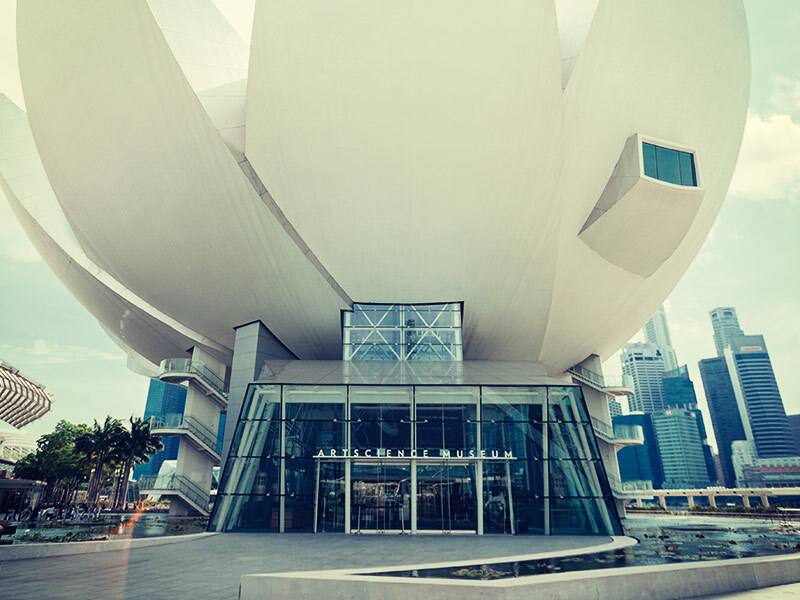 As well as the permanent A Journey Through Creativity exhibition that traces the world’s greatest minds through the never-ending journey of creative artistry and accomplishment, the world’s premier touring exhibitions are queuing up to show here. Recent hits include the superb Annie Leibowitz: A Photographer’s Life and Dinosaurs: Dawn to Extinction as well as stunning new shows celebrating the spirit and achievements of Nobel Prize winners and Collider, showcasing the world’s greatest science experiment, the Large Hadron Collider. There are loads of interactive zones and exhibits as well as the usual array of high quality food and drink outlets and on Family Fridays, up to four children get in free with every adult ticket. 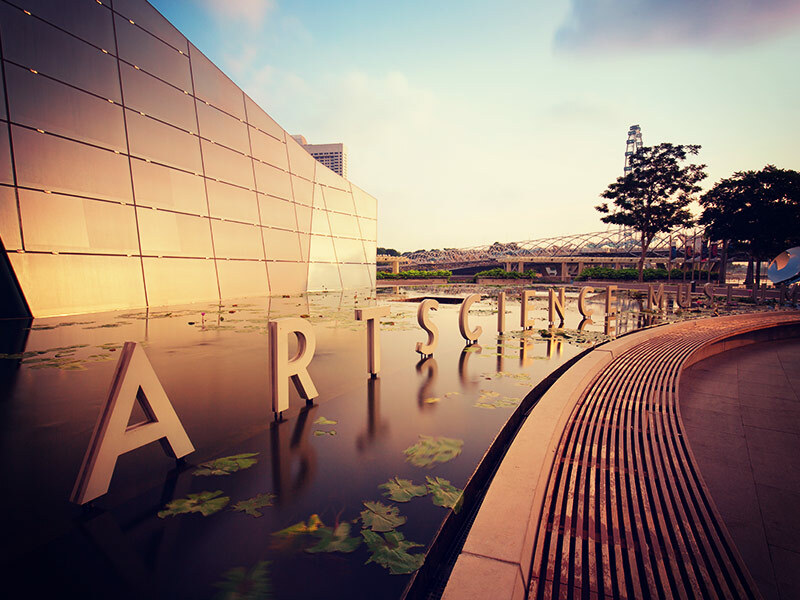 ArtScience Museum is a seriously good day out for the whole family and you won’t fail to be wowed by the building and everything inside.